Well! It’s all official. The President of Mali, Ibrahim Boubacar Keita, nominated Yeah the new Ambassador of Mali to India. My country INDIA!! Whohooo!!! I am super excited to return back to my country. After 4+ years in Mali, the kids and I have had a wonderful opportunity to learn and experience the Malian culture and traditions. We have come to love the Malian people like our own and to understand intimately the many challenges they face on a daily basis. 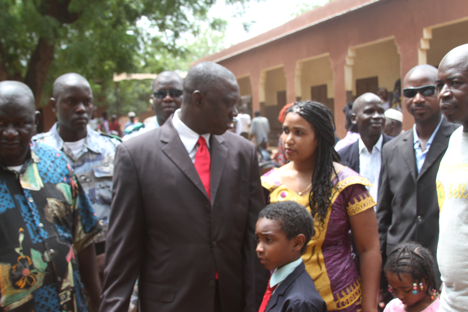 Through Yeah’s role as Mayor, we have enjoyed many unique experiences and learned much about local governance and the ability to impact the citizens of Oueléssébougou. Running the campaign was a whole different ball park and it was probably the biggest challenge we have lived through. The kids have adapted amazingly well to life in Mali. We came here when Keanen was 5 years old and Carmen barely 3, where they knew only English and the comforts of America. When we first came, the adjustment was hard, the challenges many. But we were blessed with courage at our most difficult times. Now the kids speak French fluently and I have been able to learn both French and Bambara. Through school and our different road trips, our children have enjoyed the beauty of experiencing different cultures. They have accompanied us on the many projects that have taken us to many villages and communities all over Mali. Road trips took on a whole new meaning and I have to say they have loved it!! Through our foundation Empower Mali, we have continued to partner with rural communities in Mali to make an impact in education, clean water/energy and leadership development. The high level partnerships and contacts we have in Mali and the United States will allow us to continue fundraising and implementing the work we are doing. We have no plans to stop building schools, providing scholarship opportunities abroad or increasing access to basic rights like clean water and food. So much accomplished and so many great experiences lived in just 4 years. When I first started this blog 4+ years ago, I could not have predicted this. I can hardly wait to see what the next few years hold for our family. India will be a new experience for us all. It has been 15+ years since I have visited. I am excited for the kids to learn my own culture/traditions and get to experience the different religions and exotic cultures all housed in one beautiful country. Not to mention the opportunity to travel the many surrounding countries where we will also serve. While we will mainly be based in New Delhi, the India Mission will cover 10 different Asian countries. We will have an opportunity to serve Malians and grow relations between Mali and all these countries. The countries are: India, Bangladesh, Nepal , Bhutan, Sri Lanka, Malaysia, Singapore, Indonesia, Brunei Darussalam and Thailand. For 11+ years, Yeah has shown he can help move Mali forward at a local and national level. Now I am thrilled that he has received the opportunity to play this role and will be able to make an impact on a larger national and international level. In this day and age, Asia has shown herself to be a big player and by helping grow relationships Yeah has the opportunity to create many partnerships that will help many Malians abroad and at home. Yeah said the following in a recent press release: ” Malian President Ibrahim Boubacar Keïta announced that he has appointed me as the next Malian Ambassador to the Republic of India. The jurisdiction of the post in New Delhi, India covers 10 countries: India, Nepal, Bangladesh, Bhutan, Indonesia, Sri Lanka, Thailand, Malaysia, Singapore and Brunei Darussalam. As a result of this appointment, I will soon travel to India with my family to begin my work representing Malian interests in these countries. I am grateful to President Keïta for this opportunity and look forward to representing Mali in this new role. Malians benefit in many ways from trade with India, whether it be through our increased electricity or access to high-quality medicines resulting from Indian imports, or from our sales of cotton and other agricultural products to India that puts money in the pockets of Malians across the country. This continued and growing trade partnership is improving the lives of citizens in both countries, and I look forward to building upon this relationship in the coming years. As Mayor of Oueléssébougou over the last six years, I have worked tirelessly to improve the lives of everyone in our area. When I was first elected, less than ten percent of the population paid taxes, and government workers were owed six months of salary. When measured in terms of our governmental management and transparency, our commune was at the bottom of the list. Six years later, I am proud to say we have transformed our area, making it one of the most respected and admired areas in all of Mali. Today, 86 percent of our citizens pay taxes, and our area is seen as a model of transparent and effective government. Working with our city council and other local leaders, I have also brought investment and critical infrastructure to our area as well. We now have a hospital in our area. We have a high school for our children, and we have more primary schools as well. We have improved our water infrastructure. We have the largest solar panel field in West Africa. We are helping farmers with equipment so they can make their land more productive. Instead of citizens waiting weeks for their local government to help them with requests, now they wait only days—with many receiving help on the same day. We have shown this type of transformation is possible in Mali. In recent years, I have also worked as a part of Empower Mali and other foundations to help build schools for our children, provide scholarship opportunities to children in Mali to study abroad, purchase tractors for our farmers, and construct hospitals for our communities. While I am committed to my role as Ambassador, I will also continue to actively ensure through my contacts on the ground that our projects on the ground in Mali continue to grow, benefiting the communities in rural Mali. I urge Foundation benefactors to continue to support this work and encourage others to get involved as well. This opportunity is just simply amazing! We are emboldened by the vote of confidence shown by the Malian government. I am so proud of Yeah and all he has done and continues to do to make Mali a better place. I have not met a more honest man or one that is very committed to making an impact for all his people in Mali. We are so grateful for all our supporters who have stayed the course with us. Our success today is in part due to your vote of confidence and support for all we do. The journey to achieve a new Mali is not over yet. In fact, we have started a new phase. Keep you posted. Thank you for helping bless our people in Mali. May you be blessed! 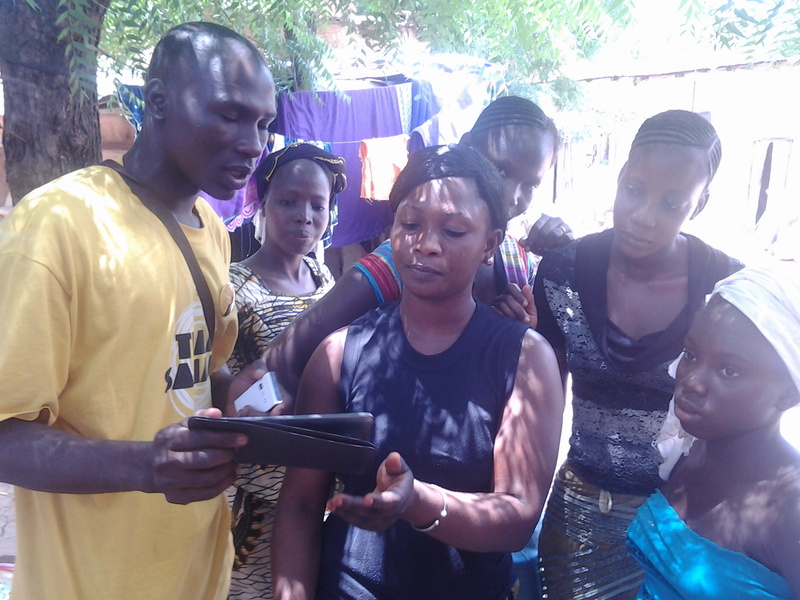 Want to help impact change in rural Mali? Make a tax deductible donation today. All donations online are secure. Checks can also be sent to Empower Mali, P.O Box 708514, Sandy, UTAH 84070. Every morning, at the crack of dawn, there is a buzz of activity on the outskirts of the village of Fala. 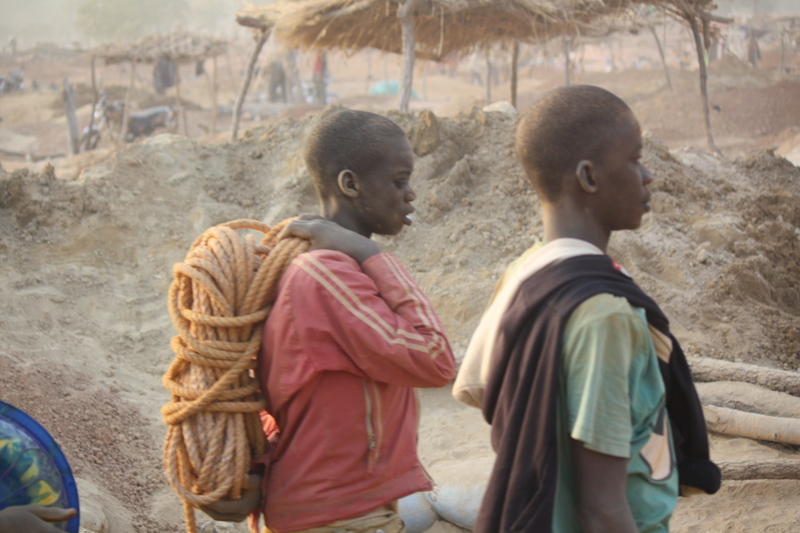 Every morning, young boys aged 12 and over, ropes slung over their back where bags should be will walk to the unapproved mines on the outskirts of Fala to begin their 10 hour shift. Mali remains the third biggest producer of gold in Africa producing close to 50 tonnes per year. Much of this gold money will never reach many of the people that work on the ground. So why do it? Because for these inhabitants of Fala, this is the only option. The residents of Fala, like many villages in Mali, are fighting to make ends meet. They understand and see the power of an education when they see the better life of people in the city, but what are they to do. Where others have schools, they have mines. So they do what they must do to survive. Meeting with the village leaders and parents of Fala, their plea is uniform when they ask Empower Mali to help bring a middle school to their village. The school will keep their young boys from the mine and give them an opportunity to break the cycle of illiteracy and poverty. The middle school will save their girls from early marriages. When you invest in a school in Fala, you are not investing in a building. You are investing in a life which then has the capacity to impact a generation in the village. Empower Mali ( empowermali.org) is a 501c3 foundation. 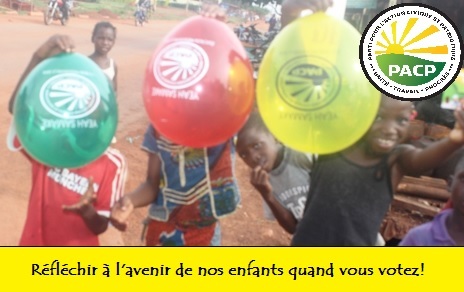 We want to bless our children in Mali with opportunities but those cannot happen without donations. We build our schools to last many generations and for a lot less than the government. The school is a shared investment that the village continues to take care of because they contribute 20% of the cost and all land and labor. We are trying to raise the final $8000.00 we need to make a 3-classroom middle school a reality for the village of Fala. Check out our campaign to raise the final 8K. We have some fun, ethnic Malian gifts for those who donate. They are limited so hurry! Whatever you can spare this holiday season will help impact the lives of 1587 children and a village for generations. And your donation is tax deductible. Check it out at. The campaign will end November 23rd, 2014, so please make your donation soon. For $50, a handcrafted Mother and Child statue –Handcrafted by artisan Pascal Mounkourou, this beautiful statue is a reflection of this Christmas season. It represents Mother Mary and Jesus–the reason for the season. For $100, an authentic Malian Bambara mask: Ritual and ceremonial masks are an essential feature of the traditional culture and art of the peoples of Mali. Masks usually have a spiritual and religious meaning and they are used in ritual dances and social and religious events, and a special status is attributed to the artists that create masks and to those that wear them in ceremonies. In most cases, mask-making is an art that is passed on from father to son, along with the knowledge of the symbolic meanings conveyed by such masks. All the masks we have are handcrafted by Malian artisans and are a beautiful reflection of a deeply traditional culture. For $200, an intricately designed hunter “doso” statue: Equipped with a bag of arrows, this intricately carved hunter statue by artisan Pascal Mounkourou is a representation of Mali’s hunters. During ancient times, hunting was one of the biggest professions ( after farming) among the Malian men. The hunters of Mali are still a celebrated group in their communities and Mali. These traditional hunters are called “dozo” in Bambara. It is believed that the amulets (In Bambara: gris-gris) worn by Dozos possess magical properties protecting them from harm, and amplifying their vision and hearing. Such amulets are said to make them bulletproof. The design is so intricate on this one that each statue takes 3 days to make. These make for some great holiday gifts for your friends and family! And every dollar raised goes to the middle school in FALA. 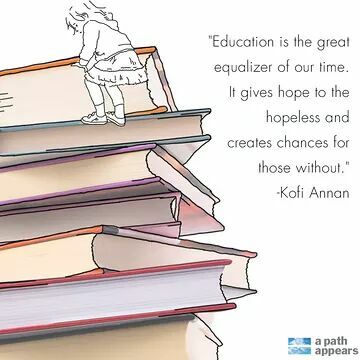 Education is the pathway to opportunity and we want to bring opportunity and hope to our children in Mali. Two years ago Yeah and I left the comforts and possibilities of America for Mali to pursue a different future for our family. A future that included helping improve the lives of 15.1 million people in one of the poorest countries in the world. The journey has in no way been easy but at every step of the way, we have been blessed. We have blessed with family that supported our decision and guided us as we settled into a new, different life in Mali. We have been blessed with friends that have supported us emotionally and financially as we pursued an ambition to change the corrupt system and initiate change. It is your kind donations that have let us run a clean race untainted by corruption and stick on the stage with the corrupt, older giants of Malian politics. We have been blessed with new supporters each day both here and in America who have believed in our vision of a Mali that can break the chains of illiteracy and under- development and welcome a day when every Malian can have three meals a day, accessible, quality education, accessible low-cost healthcare, clean water and a job when they graduate. Today, was an emotion filled day. Our day started as we cast our ballot in the city of Yeah’s birth. As we entered Ouélessébougou, we were touched to see the throngs of people clamoring to vote. The booths opened at 8 am and people were lining up long before that time. Many came to us, waving their left index finger proudly, stating the exact time they voted for Yeah. The booths will close at 6 pm tonight. The manual counting and limited access to far regions will mean that most results will not be known until sometime tomorrow or day after. We do not what tomorrow will bring. We do not know what the results will be. While we hope for the best, we know that we will continue to serve Mali in whatever capacity we can. Our goal is empowering Malians to better standards and a better life. Our heart is filled with deep gratitude for all you have done to support us. We have been blessed by your friendship and have been touched by your investment in our campaign for Mali. It is an investment that will never be forgotten. With 5 days to go, all I can say is Mali’s future is at stake. We are determined now more than ever to affect change. Mali cannot remain destitute for 20 more years. On July 28th, Malians will choose their destiny. They will either say they want to stick with the old corrupt guards or go with a new leader with fresh ideas and someone who has served them. For us the Presidency is a means to an end. An end in which we can make Mali the great, prosperous nation that can enjoy education and healthcare for all citizens. This video captures perfectly our vision and our passion. We thank our Alma Mater BYU for sharing our story. We all have the ability to make a difference in our own corner of the world. Don’t miss it! I thank all our supporters for donating to our campaign, especially when we issued an announcement for a $30,000 need. In the last three days we were able to raise $10K. We are still trying to raise $20000 to be used on the actual day of elections to be able to send our members in each voting area to ensure no voter fraud happens. There are 8 regions in Mali containing 703 cities. The money covers their transportation to/from the regions and their food. Asking for money is not something I am comfortable doing. But we need your help. If you can help, no matter how big or small, please help push us closer to that $20,000 goal. God bless Mali and all Malians everywhere! Quick update! Friday, June 28th was the deadline to declare our candidacy with 5 signatures from each region supporting our candidacy (TOTAL: 55 signatures) and pay a fee of 10 million CFA. You are probably thinking, 55 signatures, no biggie. Well, when you are take into account 3 regions ( Gao, Tombouctou and Kidal) that are involved in insecurity and terrorism, things become a little different. Our party has been blessed with members that are willing to take risks to travel into these regions, meet with the leaders there to get the sponsorships needed. So far 36 candidates have submitted dossiers of signatures and the fee of 10 million CFA. However the Constitutional court has to validate the final number and make sure that the signatures gathered are valid and belong to deputees and counselors in each region. We hope to hear how many official candidates there are this coming week as campaigning officially begins in Mali on July 7th. 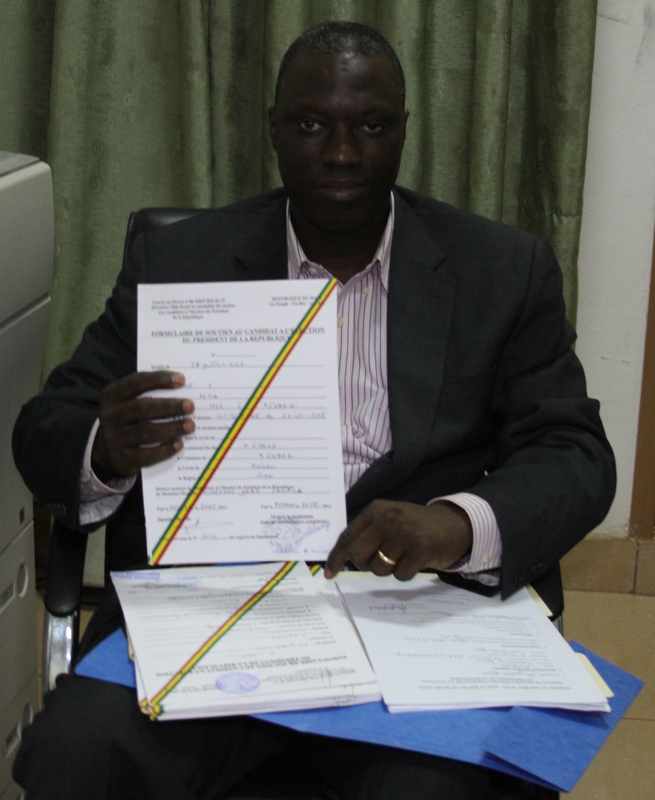 I am excited and humbled that we could make this grand milestone with 65 signatures from all regions in Mali. This would not be possible without each and every one of you contributing to our success and efforts. We are so appreciative and blessed by your support. Keep the fire burning at www.samake2013.com. We do not need 20 more years of corruption, inefficiency, bad governance and bad healthcare. Mali needs your support! We need you to help us make this happen! On June 18th, an important step was taken in the resolution of Mali’s 18 month long political and security crises. 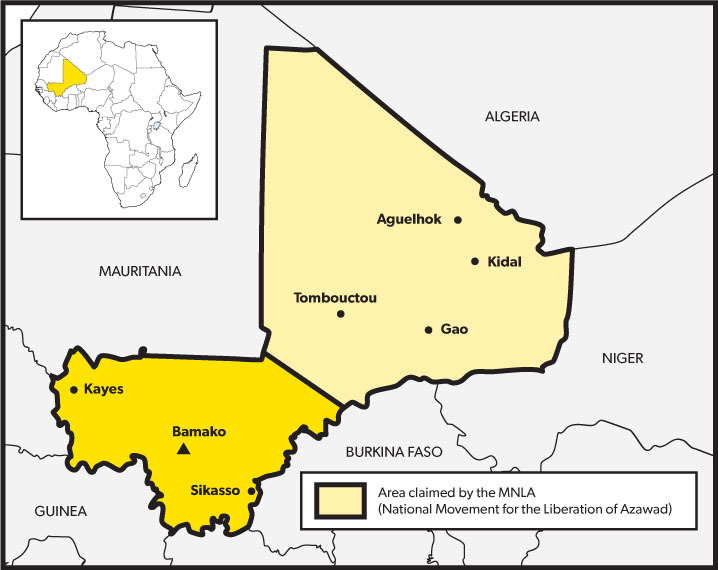 Since the French assisted the Malian army in removing the terrorist threat of Al-Qaeda and MUJAO in Tombouctou and Gao, one region remained under rebel control. This region in the North East of Mali was Kidal. Kidal has remained a sore point for many Malians and a dilemma for the international community. Since France gave military assistance in January, Kidal has been occupied by the Malian Tuareg rebel group called the National Movement of Azawad (MNLA). Their demands were for a separate, autonomous region called AZAWAD. Since January, they have installed their own people in administrative positions and not allowed any Malian/international forces in. The Tuaregs are a very small minority in Mali holding less than 10% of the population. For many years they have felt marginalized and felt like they were not treated fairly by the Malian government. France did not want to get involved in Kidal because in essence they would be killing Malians and this could backfire on them. They also prevented the Malian army from entering Kidal because of the potential problems that could come from Malians fighting Malians, but more importantly acts of terror against the people that had aggressed the Malian army just a year ago. While France was initially hailed as a hero for its help in January, most Malians regarded with suspicion and disgust that the French stopped the Malian army from entering Kidal. There was a split between Malians who said they would not vote without one of their regions Kidal being included. Last week, a tremendous step forward was made, when an agreement was signed between the MNLA and the Malian government in Burkina Faso. While the agreement does not resolve the root issue of the problem, it does allow decisions concerning the stability of the country to be made by a legitimate government rather than an interim government with limited powers. The main issue is that the Tuaregs feel marginalized and uncared for by their central government and so it will be essential for the new government to address this concern. The next President will have to make it a priority to hold a national dialogue to determine how the issue can be resolved satisfactorily with all parties involved. For a lasting stability and prosperity, the people of Mali ought to be inspired to a stronger commitment to democratic values and standard economic principles. Corruption must be stamped out to allow proper and equitable allocation of the resources and foster foreign direct investment for the creation of decent employment. The agreement includes acceptance by MNLA that Mali will not be broken up. In addition, the requirement was made that the MNLA withdraw from Kidal and the Malian army and international forces be allowed to take up position within the region. 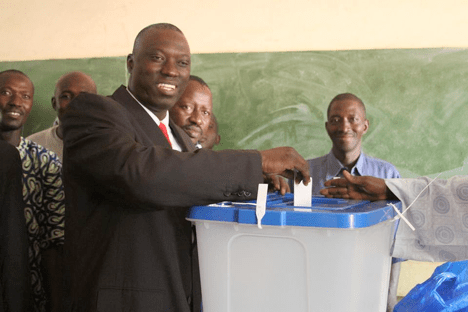 This interim setup will permit the people of Kidal to participate in Malian presidential elections scheduled for July 28. The MNLA had also asked for amnesty for war crimes, but the government did not agree to this and asked that this be reviewed by a joint commission. While this treaty is not a permanent solution, it does allow the country as a whole to move forward towards elections. It does allow all ethnic groups in Mali to participate in choosing the nation’s next leader. So in no way can groups claim that the elections were not fair due to Kidal not being involved. Last month, Yeah had called on the government to step down if Kidal is not released before the election. So with this new development of an agreement reached, Yeah congratulated the government on reaching a settlement with the Tuareg group as a means to an end. The bigger goal of elections and a democratic country need to be achieved first before a long lasting solution with the Tuaregs can be established. It is in this tone, that Yeah extended well wishes. Now the country has a month left before the first round of elections on July 28th. As we prepare here in Mali for July 28th, I send a special thank you to all our friends, family members and well wishers. We are blessed by your support, prayers and thankful for your kind words of encouragement. The dream we have is a Mali filled with opportunity and hope for all Malians. It is a dream that can become a reality with the right leadership. That leader is Yeah Samaké. Today, I ask you share our story and website (http://www.samake2013.com) via Facebook, Twitter, Pinterest, Email etc. with one friend or family member. Today, I ask you to share the story of hope we have for a Mali filled with opportunity for every Malian. Your voice is your vote for a new day in Mali. Thank you again for sharing this journey with us!